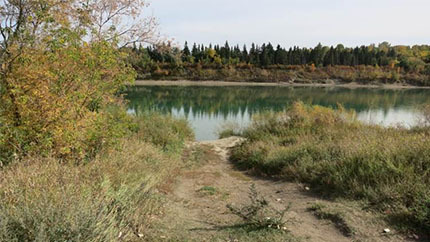 This initiative will build on the river as a natural connection between municipalities by increasing options for water access, allowing travel along the river and supporting the regional park concept. The site environmental reviews can be viewed in the November 2, 2016 Urban Planning Committee Meeting Minutes (Item 6.1). The proposed alternate location from the Whitemud Park site was brought back to the Urban Planning Committee on May 22, 2018 (Item 6.6). The alternate location was approved by Council May 29, 2018. Due to ongoing construction of the Walterdale Bridge, the potential environmental impacts of the Rossdale dock could not be assessed at this time. A complete environmental screening for this dock will take place at a later date. The boat docks and launches budget is $2.47 million and is being funded by the River Valley Alliance, the provincial and federal governments, and the City of Edmonton. On ponds, stormwater lakes or on the river!